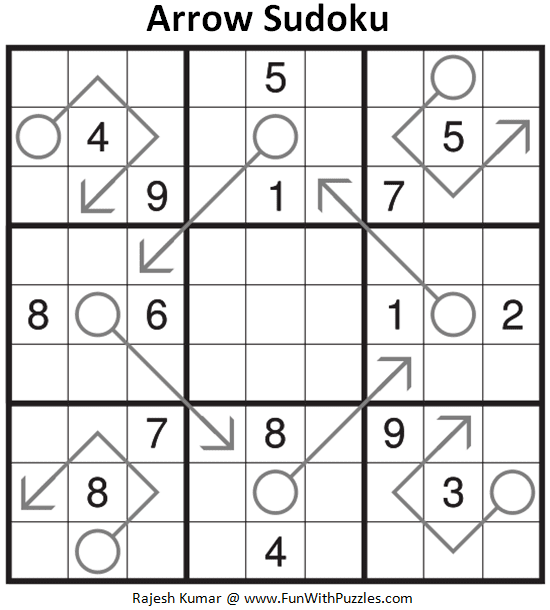 Arrow Sudoku Puzzle is very interesting Sudoku type to solve. However it is little tedious to create the image for Arrow Sudoku Puzzle. From last one year I have created many Arrow Sudoku Puzzles. However I decided not to publish any Sudoku puzzle on the website till World Sudoku Championship 2017 is over as I was one of the organizers and author who created puzzles for this championship. From last one month I have started posting Sudoku puzzles again on Fun With Puzzles website. There are around 100 Sudoku puzzles created with me which I am not regularly publishing on this website. 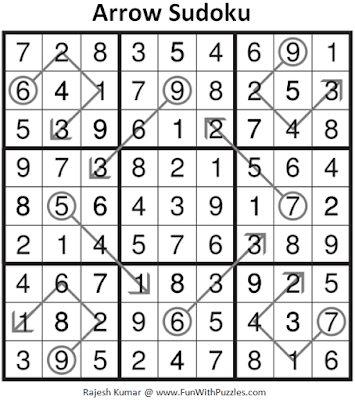 This Arrow Sudoku puzzle, I am publishing as part of Daily Sudoku League as 210th Sudoku Puzzle in this Series. Theme of this Arrow Sudoku is Diamond. This Arrow Sudoku Puzzle I am publishing as #210th Sudoku puzzle in The League of Extraordinary Ladies & Gentlemen. 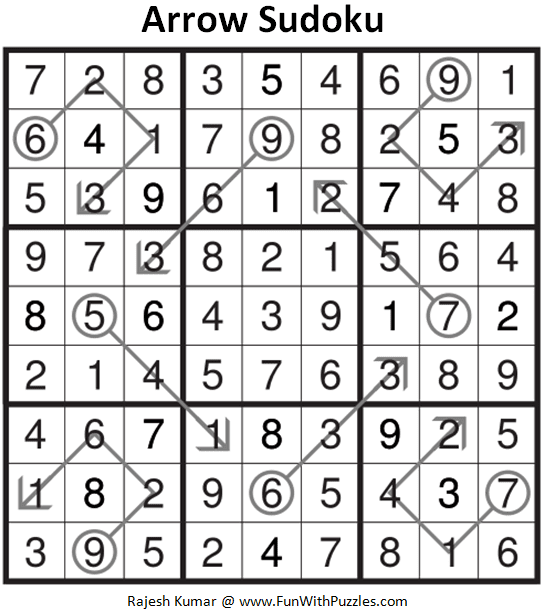 Here are the next are previous Sudoku puzzles published in this Sudoku Series.